Kwik-LokTM Pins are manufactured in a wide range of sizes to meet any application. We offer short lead times for special sizes. Available in 5 handle styles, inch or metric. 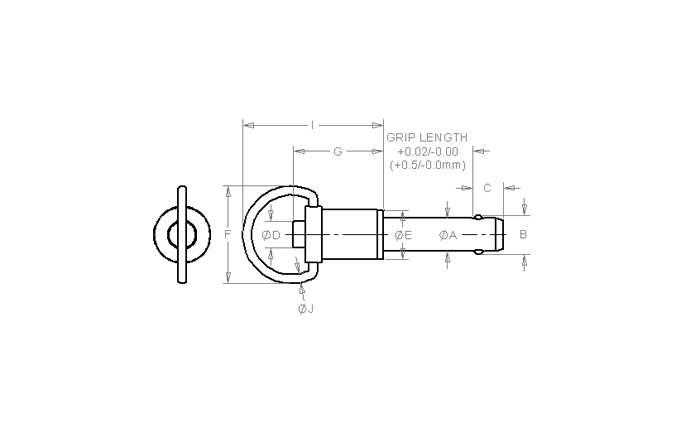 The Ring Handle configuration is designed for applications which require a small clearance area around the pin.